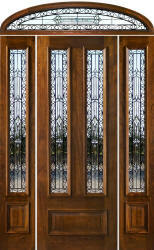 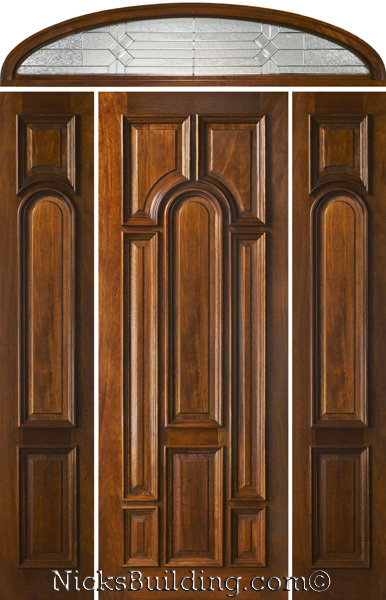 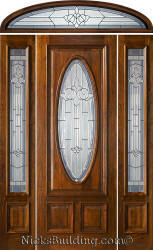 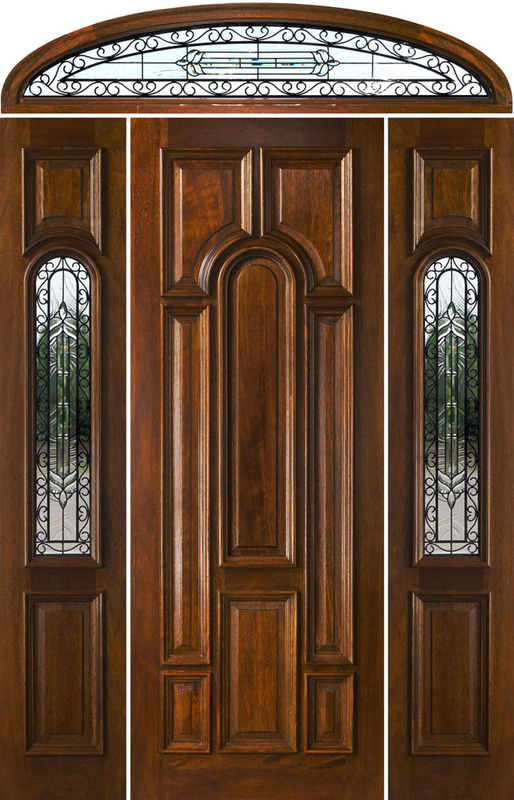 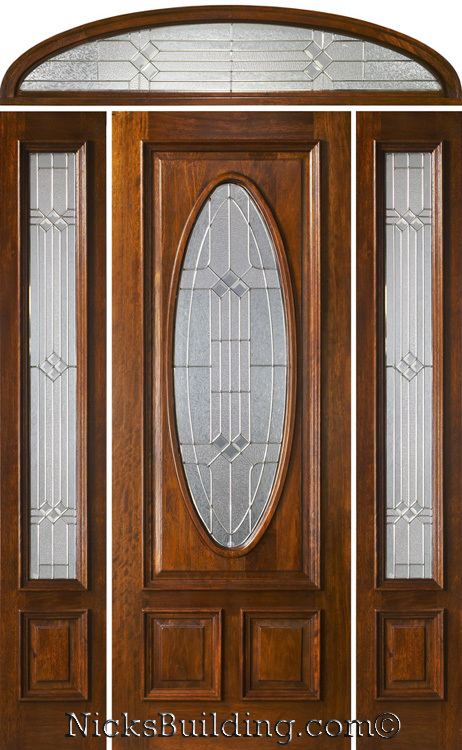 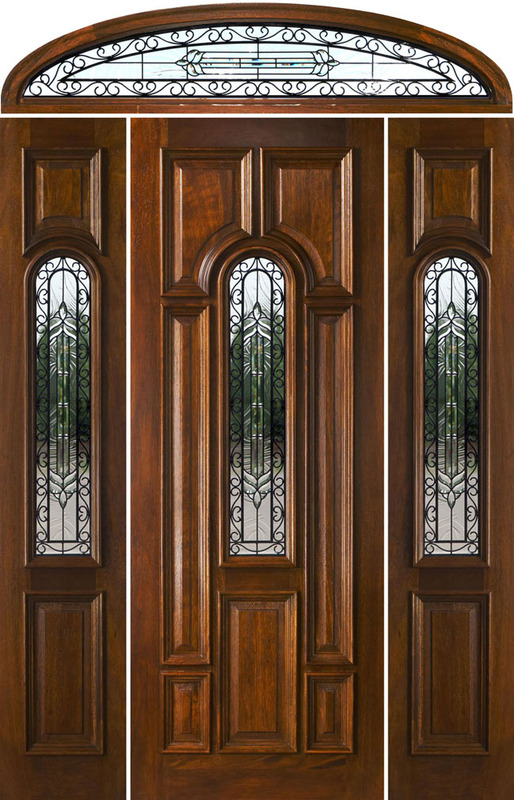 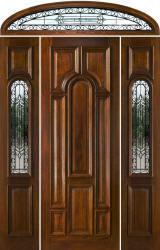 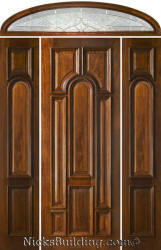 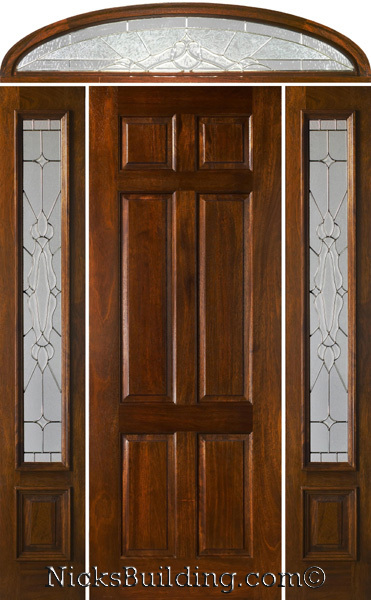 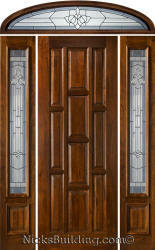 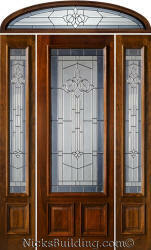 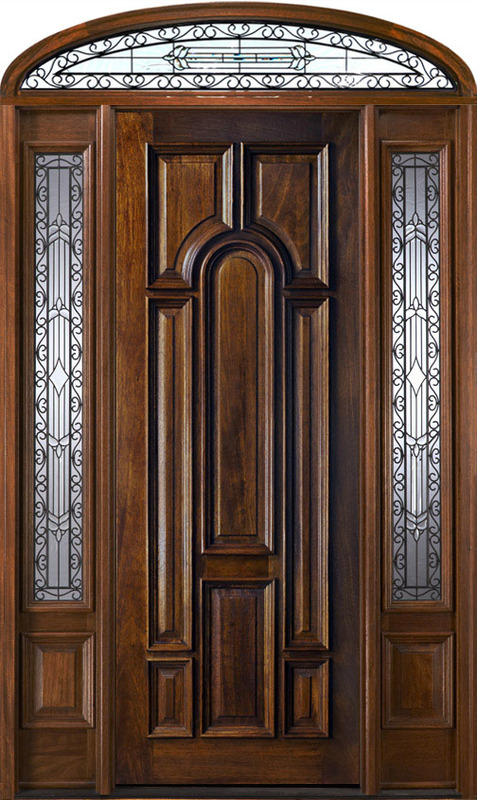 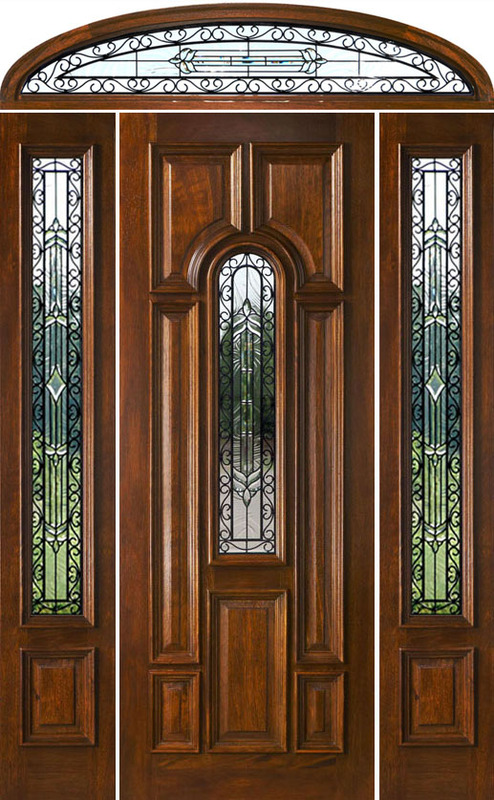 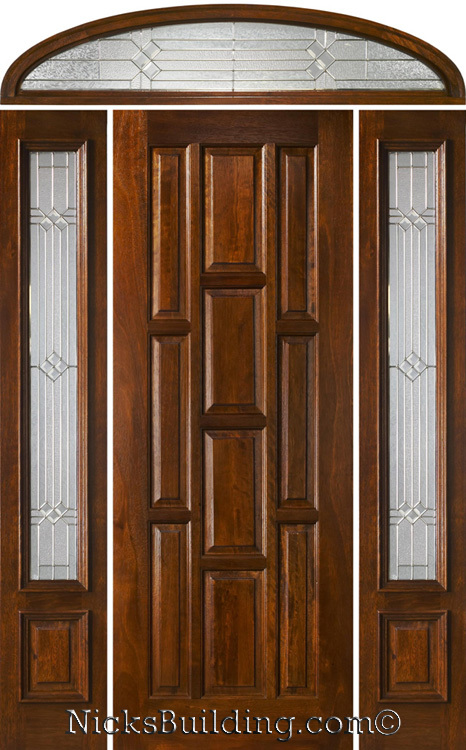 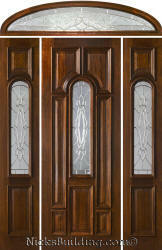 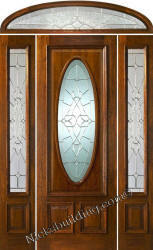 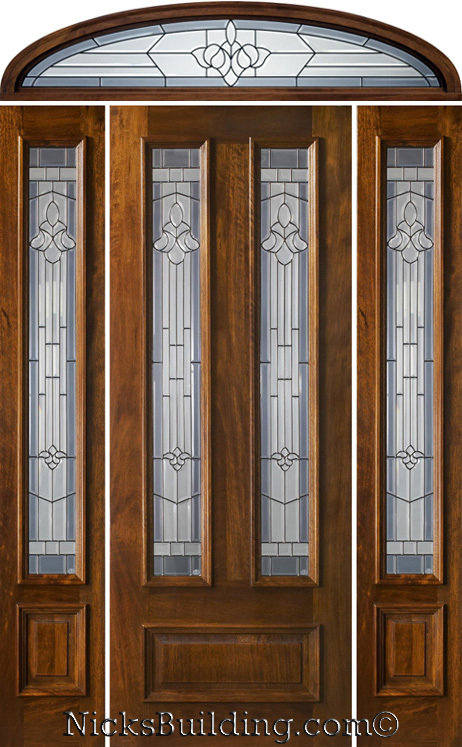 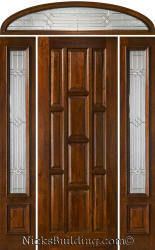 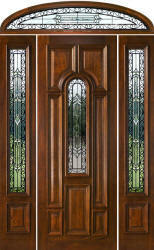 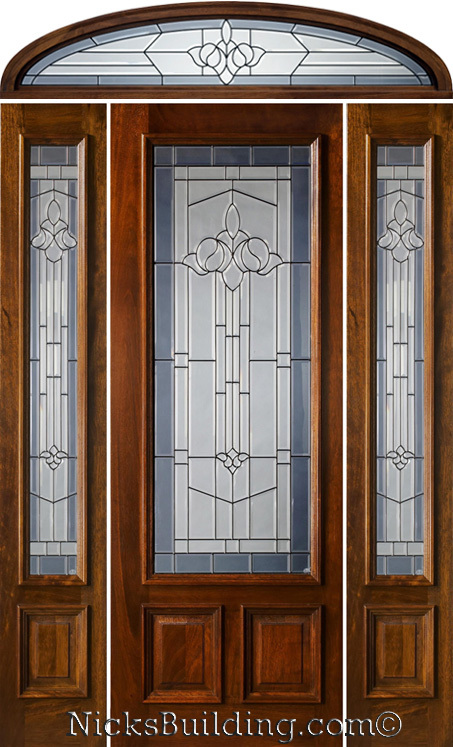 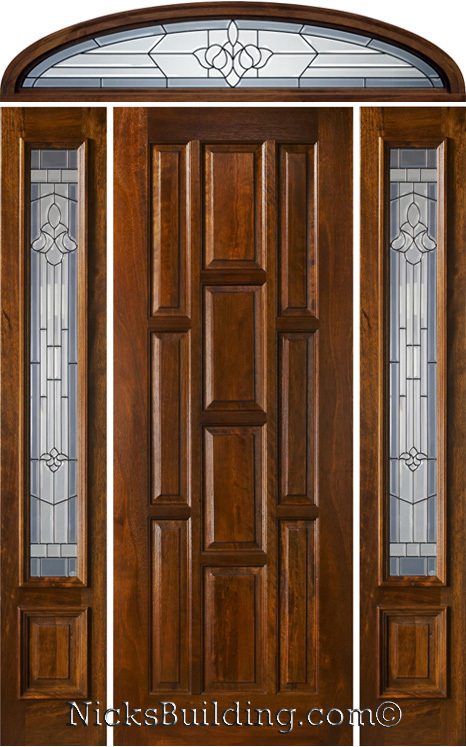 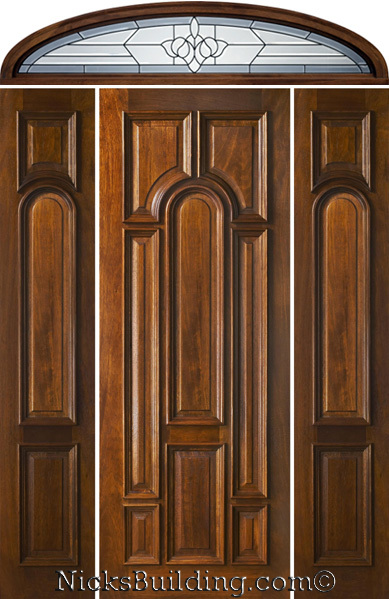 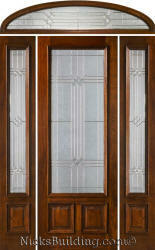 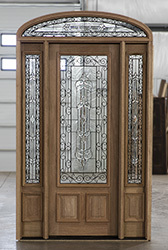 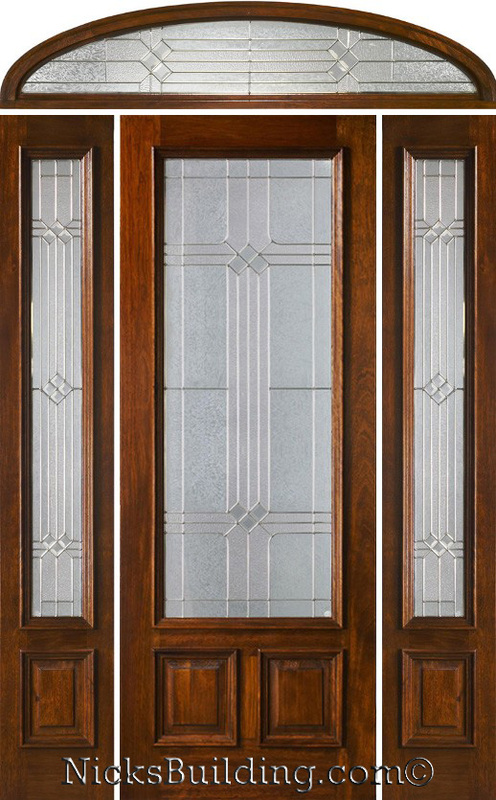 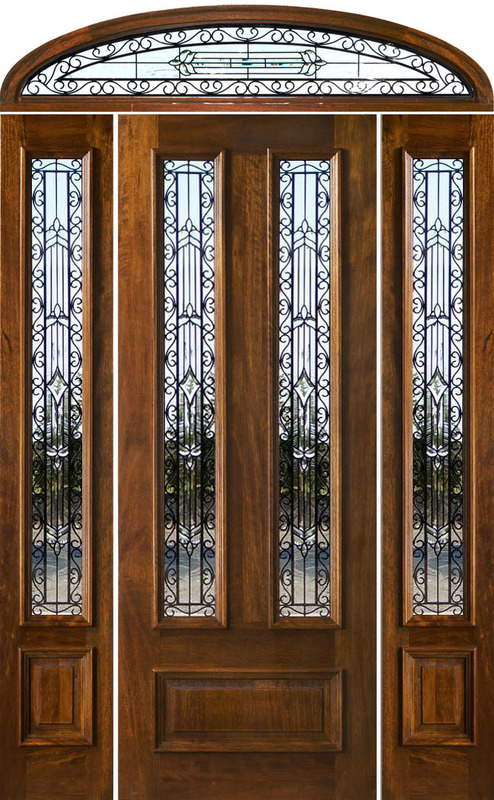 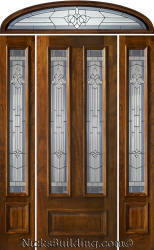 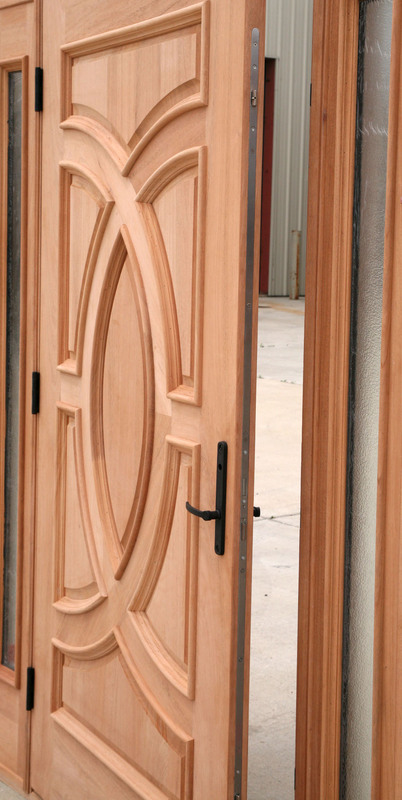 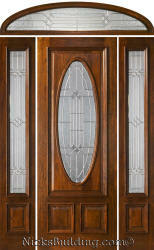 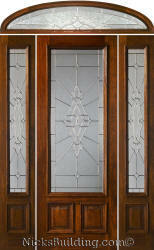 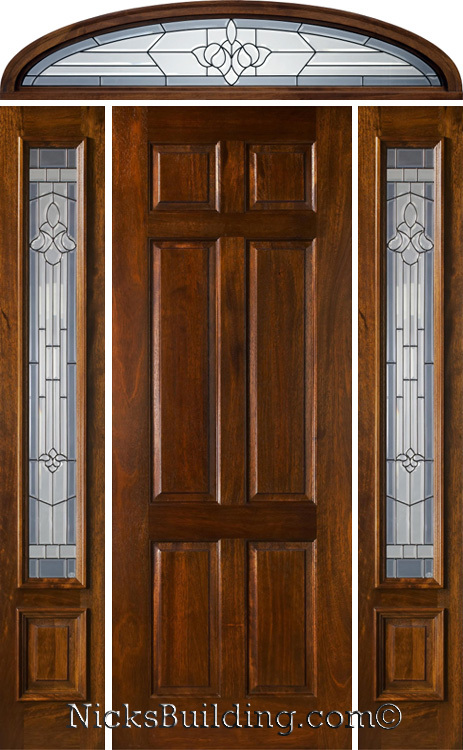 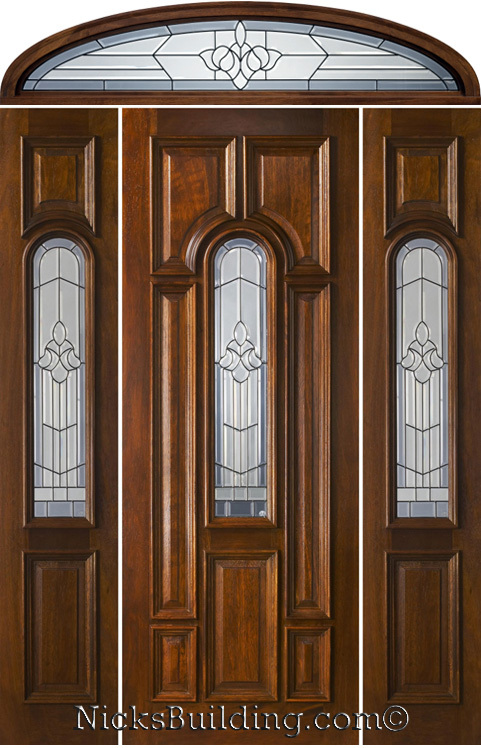 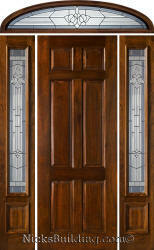 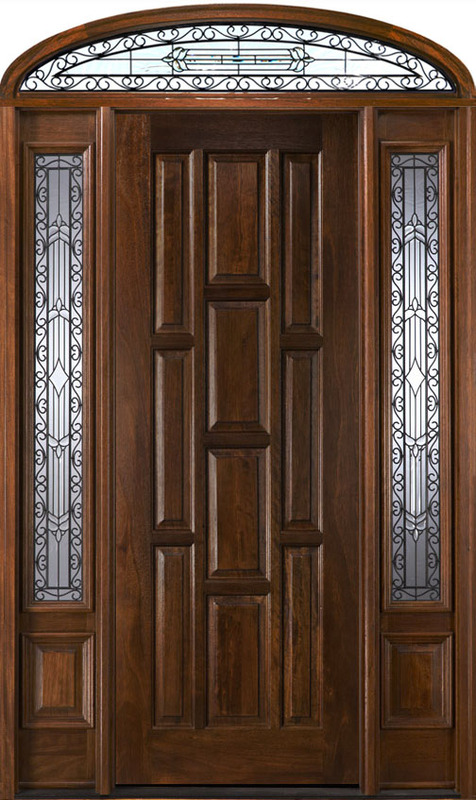 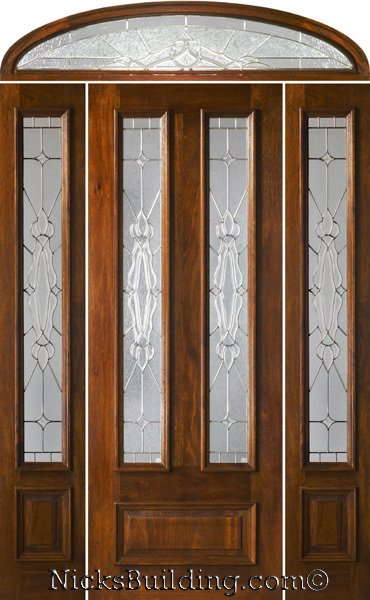 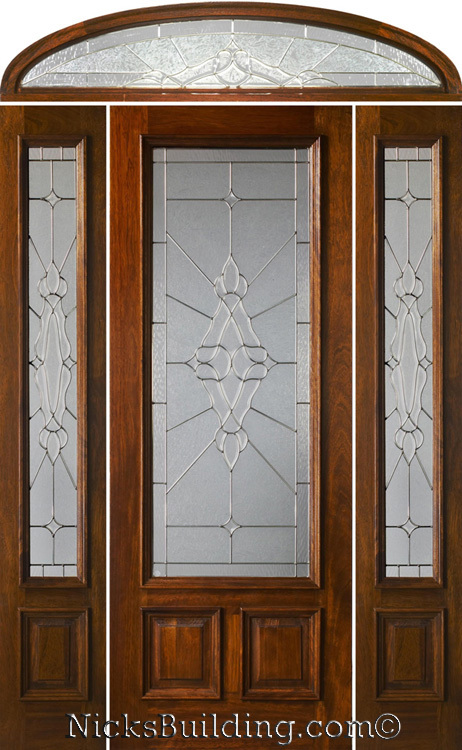 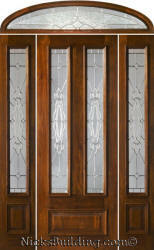 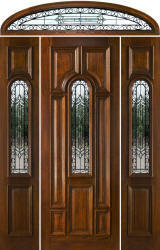 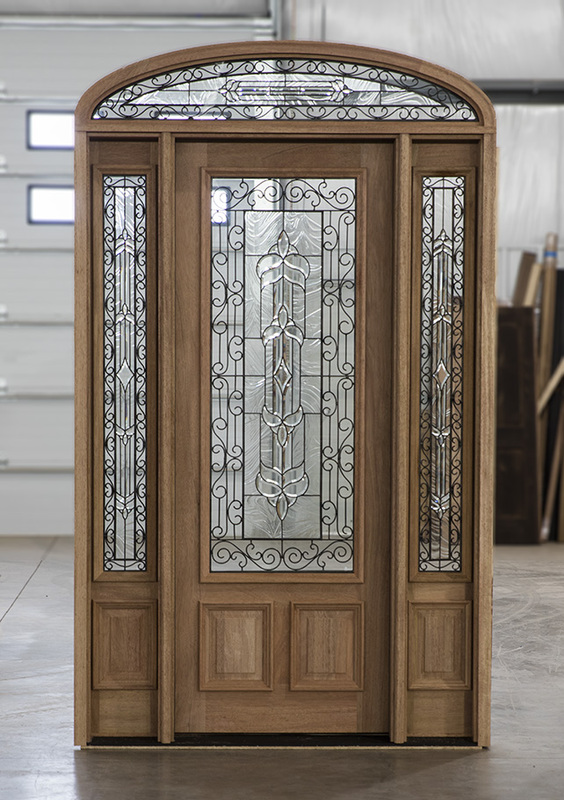 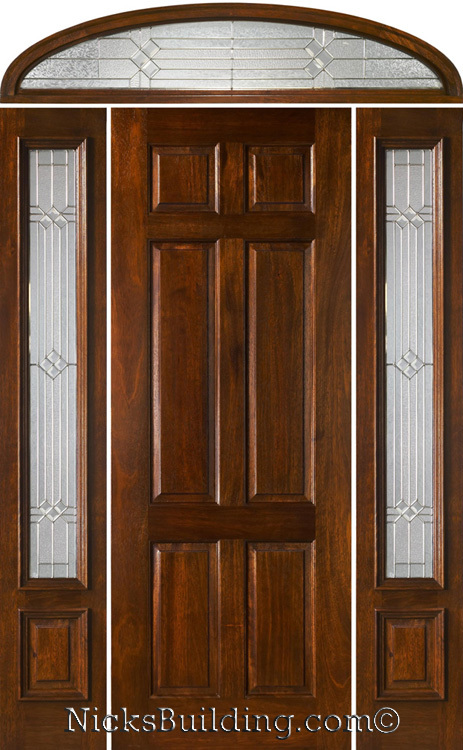 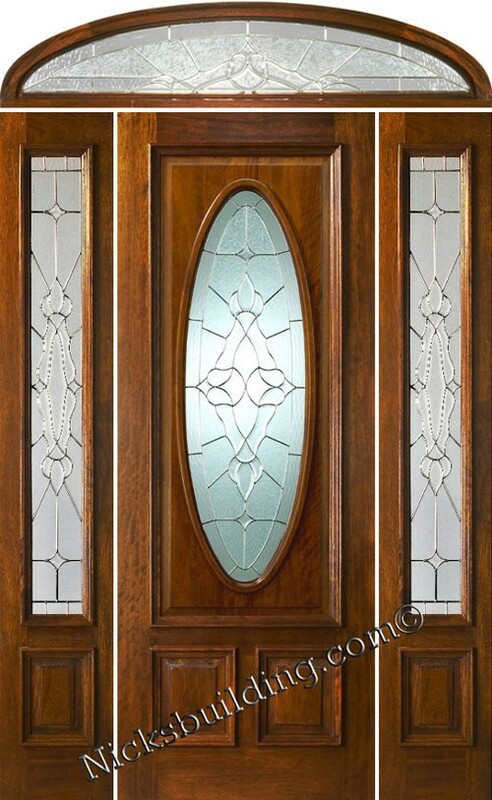 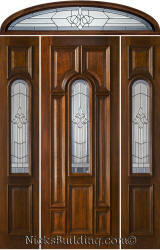 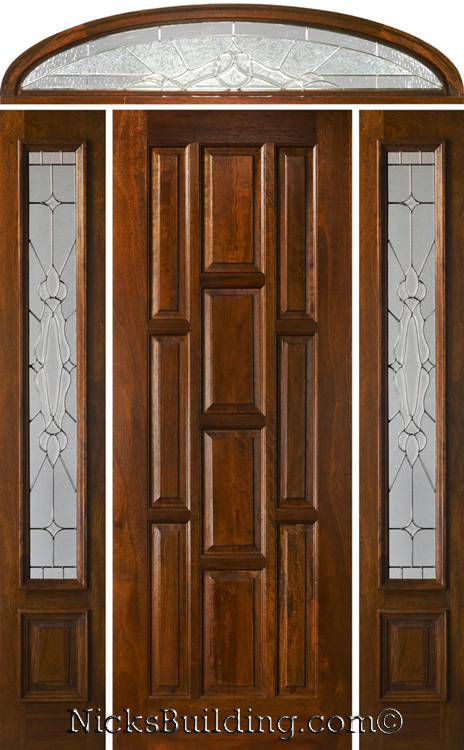 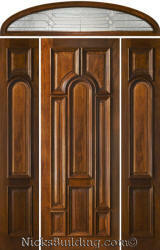 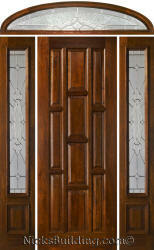 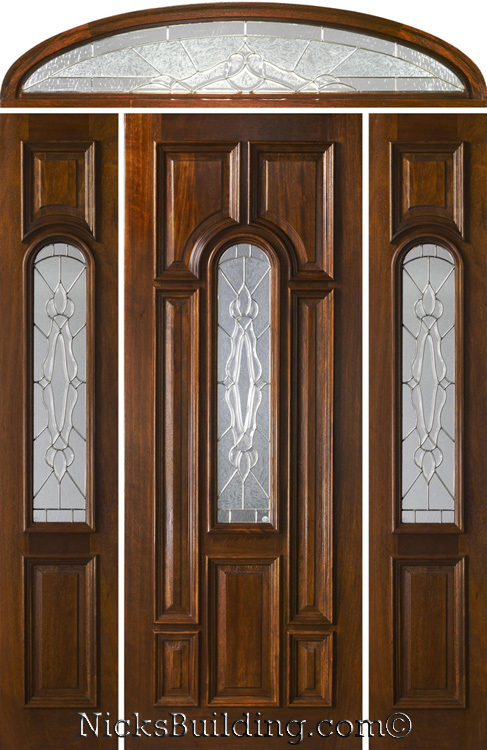 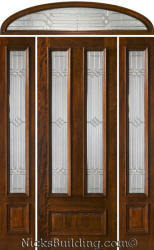 Solid Mahogany Doors and Door Panels with Raised Moldings on both sides. 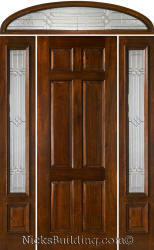 UNIT SIZES: 64 1/2" x 111"
FREE Lock Prep included: Left or Right Handing. 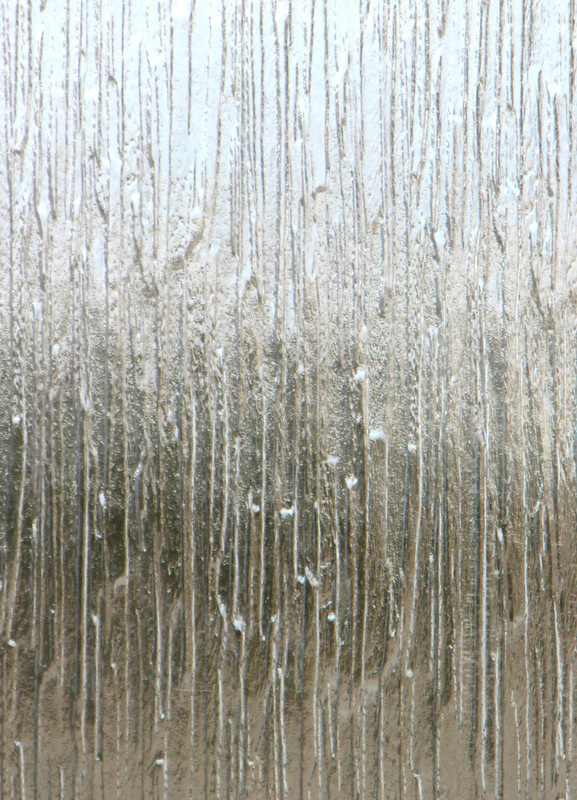 Single or Double Bore. 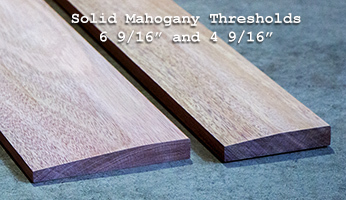 2 1/8" diameter hole(s) w/ 2 3/4" backset 5 1/2" spread. 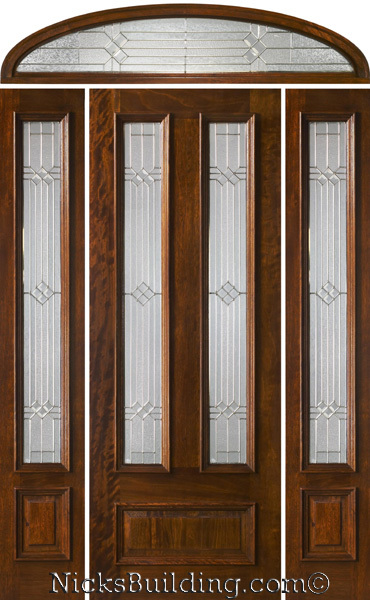 Your Choice of Commercial Grade Ball-Bearing hinges Hinge Finishes, Q-Lon compression Weather-stripping and Rubber Door Sweep. 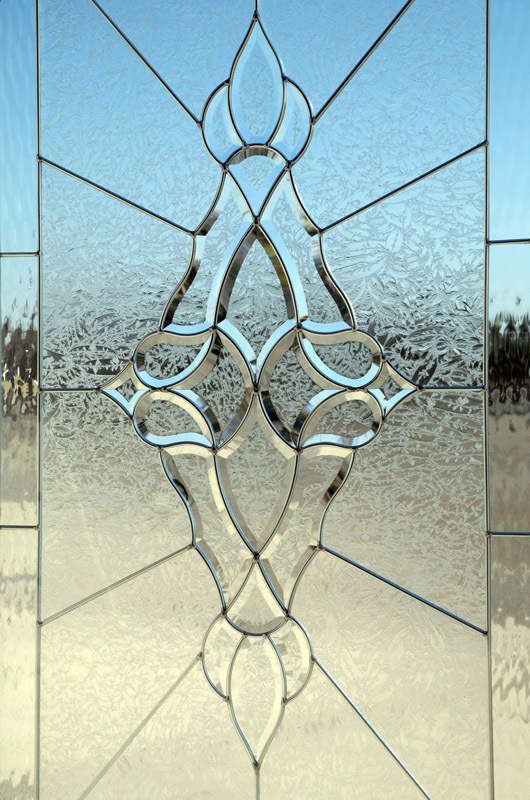 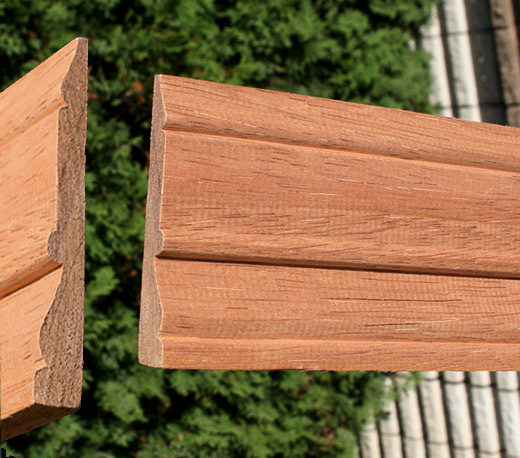 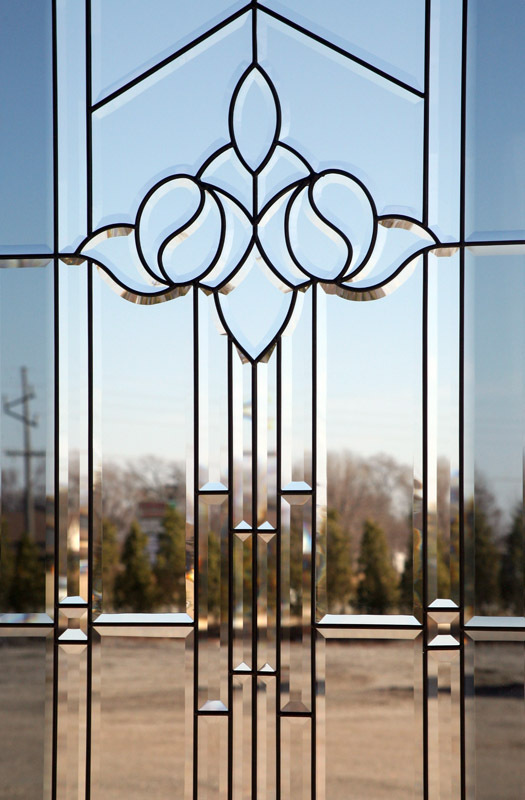 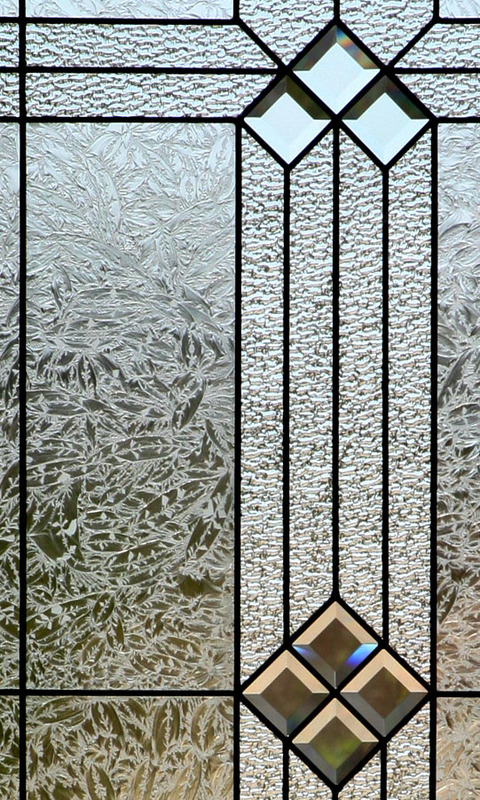 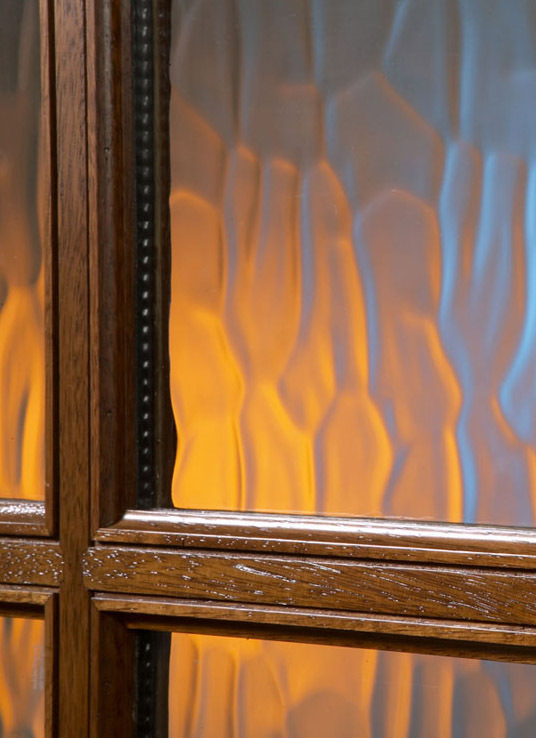 ** Pre-Hung ** Our Pre-Hung Doors with transoms are "NOT" Kits! 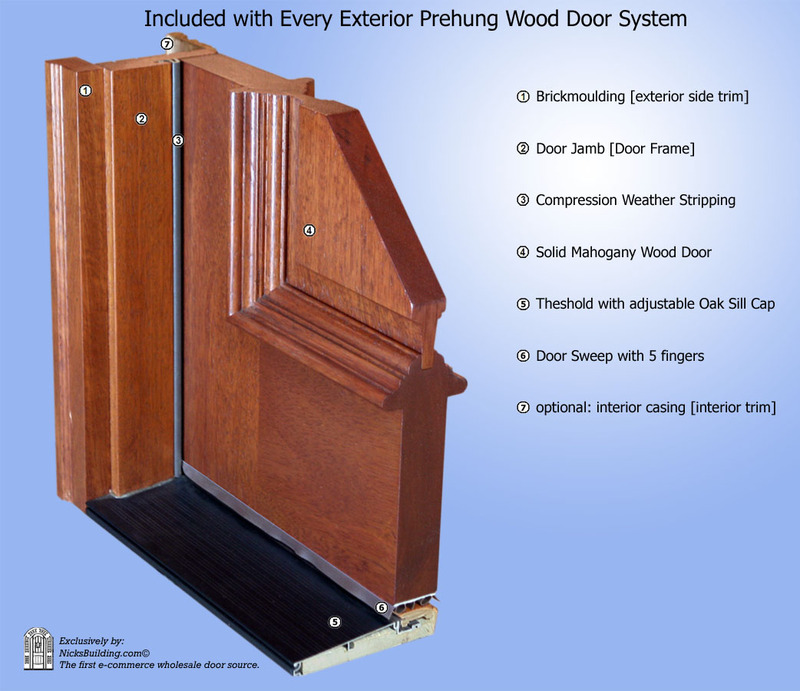 Shipped truly and completely pre-hung with hinges mortised to door and pre-installed in the Jamb for the easiest installation possible. 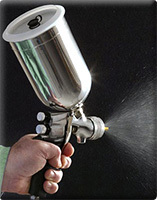 This will save you Time and Money. 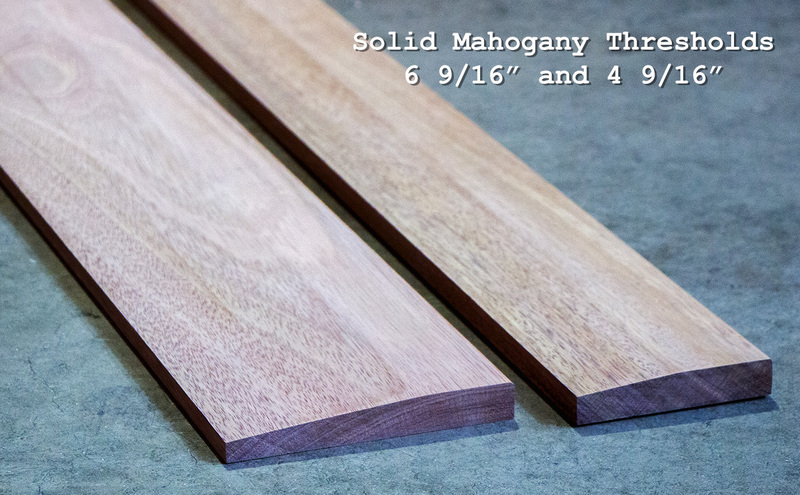 No extra work needed for the carpenter. 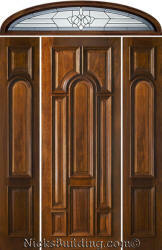 Ready to install into the doorways rough opening.